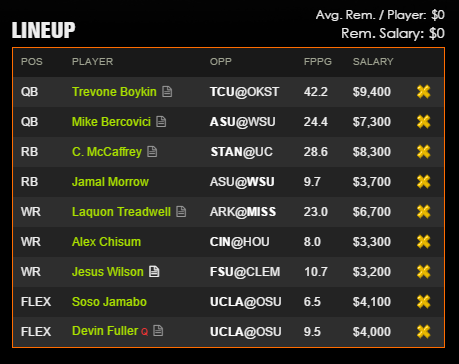 DraftKings is offering UM Hoops readers access to an incredible fantasy college football contest! There is a total of $110,000 in prizes and a $10,000 first place prize! FREE for new DraftKings users! FREE for new DraftKings users! DraftKings is offering UM Hoops readers access to an incredible fantasy college football contest! There is a total of $110,000 in prizes and a $10,000 first place prize! All you have to do is pick the 9 players you think will score the most fantasy points during the Week 10 football games. Draft 2 QB, 2 RB, 3 WR, and 2 Flex, while staying under the provided $50,000 Salary Cap. Entry is FREE for new players! The total prize pool is $110,000 and first place wins $10,000. Over 8,400 lineups win money guaranteed! Get your money when the last game ends Saturday night! DraftKings fantasy college football is the easiest way to add excitement to the football season. Finish in the top 8,421 fantasy scores and get paid Saturday night! 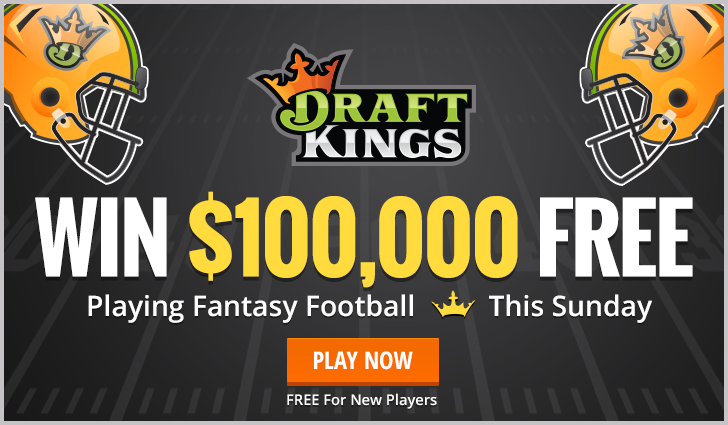 Sponsored: Bigger and Cheaper Fantasy Football!